Making Music in the Arab World: The Culture and Artistry of Tarab. Ali Jihad Racy. 2003. Cambridge: Cambridge University Press, Cambridge Middle East Studies, 17. xvi, 248 pp., 10 photographs, glossary, bibliography, index. Hardcover, $60. 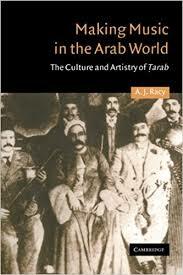 Music Making in the Arab World: The Culture and Artistry of Tarab by Ali Jihad Racy is an important ethnography that explores the phenomenon known as tarab, or “musical ecstasy”, and explains how this theory intertwines with musical performances and contexts to create this essential ingredient of Arab Music. Tarab is a complex word that means many things; however it can be translated as “trance”, and is what a good performer must bring to their audience through emotional transformation. 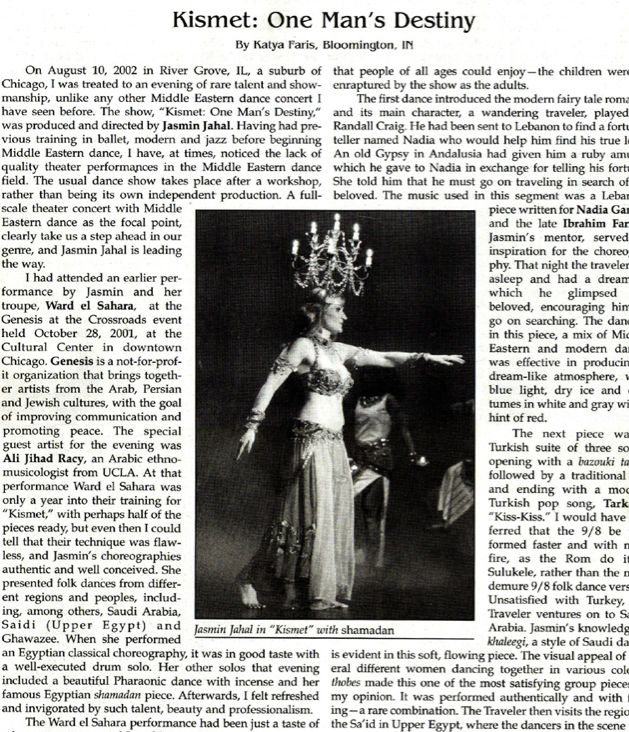 By understanding and explaining the various layers of the tarab culture, Racy shows us how it is imperative to see how literature, textual analysis and music theory congeal together with performance to be the ingredients of tarab culture, and how this is indicative of the individual, cultural, emotional and spiritual dimensions of the Arab psyche. The book has an introduction as the first chapter, which I think was wise, as it is imperative to read it to understand the following 6 chapters. His approach is in true ethnographic form with participation observation and interviews at the core of his research, as well as musical and historical analysis. We are fortunate to have a native scholar who can hold both emic and etic perspectives clearly in his mind simultaneously, and give us a balanced analysis. At the core of Racy’s argument is that there is a relationship between secular and sacred Arab music through the phenomenon known as tarab. His analysis takes us on an adventure through history by showing how Islam has been the central link to tie the two theoretical fields of sacred and secular Arab music together. In the Islamic world, the term musiqa refers to secular music, and sacred sound is just that, sound. Racy draws us a portrait that shows how the theories of the spiritual realm in Islam are undoubtedly related to musiqa, and the result of tarab is the evidence in that the Sufi rituals are similar to secular music sessions of tarab music. 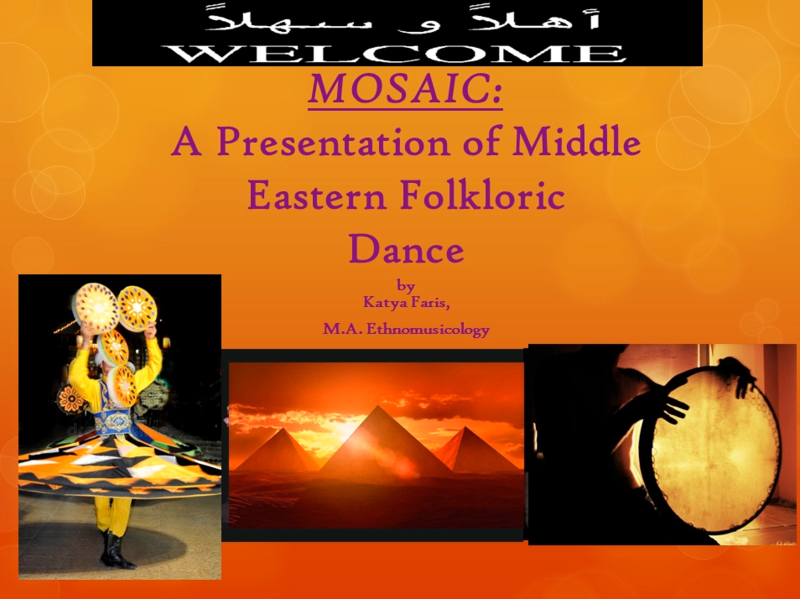 As this is an ethnography, Racy does not give us the technical rules of performance, but is rather telling us a story by exploring the performers and the affective qualities they had, as well as the affective qualities of tarab, and their place in the history of this dynamic musical culture. Just as Islamic culture distinguishes between sacred and secular music, Racy shows how they also distinguish between music with lyrics, and music that is purely instrumental. The religious use of the voice through chanting, and through singing the Quran is the foundation of the musical structure of tarab. This is true even in the instrumental music, as in a call and response format, the “call” instrument would be mimicking the voice. Racy cites famed Egyptian composer Mohamed Abdel-Wahab as an example of how the Quranic chanting influenced his secular compositions, as well as legendary iconic Egyptian singer, Umm Kulthum. The culture area that Racy bases his ethnography on is called the Levant: Lebanon, Palestine, Israel, Syria and Jordan, as well as Egypt, and the subsequent diasporas of these regions. 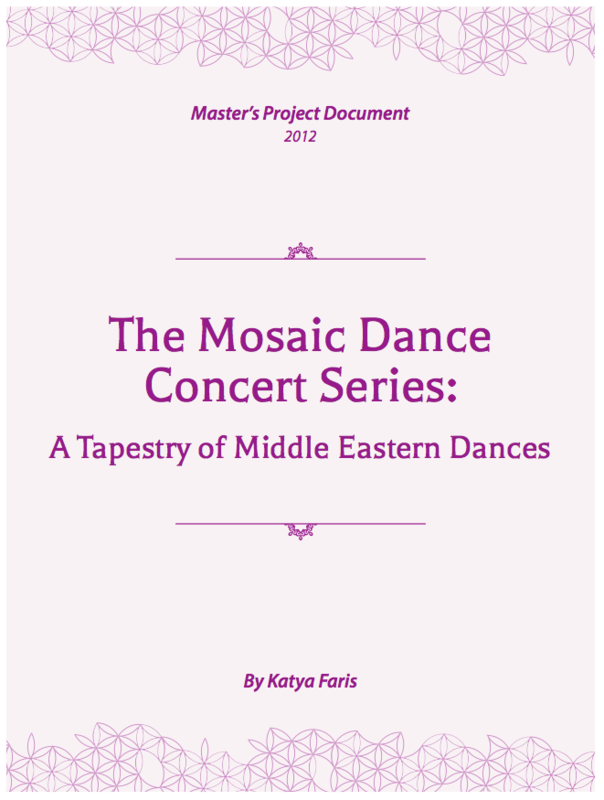 As Racy uses historical analysis to discuss tarab, he also shows how the various outlying regions to the Levant and Egypt have influenced Arab music and tarab, namely Persian music, and the music of the Ottoman Empire, which encompasses most of the Middle East as we knew it before WWI. Inherent in the meaning and expression of tarab is emotional release, whether personal or collective. Racy says that there is a stress release with performers and audience members of tarab, and this has a social function. Ensembles playing together in improvisation-based musics around the world can relate to this phenomenon of “communitas”, as Victor Turner would say, or a sense of community-building through a shared activity (Turner, 2008). It is important to distinguish at this point that while the performer is performing tarab music, the state of musical ecstasy that he/she goes into is called saltanah, not tarab; the term tarab is reserved for the name of the music, and the phenomenon that happens to the audience, not the performer. Saltanah loosely translates as “surrender”; the performer must surrender to the energy of the music and become a vessel for it, so that they can pour it onto the audience and induce musical ecstasy for them. Just as literature and text have had a lasting impact on tarab music, there is also quite a bit of discourse that Racy cites on the tarab culture, and how that is or is not related to areas around the Mediterranean, such as Spain and Greece. He shows us through historical analysis through text that there is an intense discourse by several types of writers on tarab, and that this is not common to other genres in the cultural area. Luckily for us, this commentary includes social and cultural insights into the tarab culture, which only enriches the portrait Racy is painting for us. We can benefit from Racy’s emic insider views, and are reminded that there are multiple emic perspectives in that he is able to put aside his own viewpoint and listen to his informant musicians, but then translate their musical discourse in a way that is understandable to the reader. Personally knowing quite a bit about Arabic music, I enjoyed his musical descriptions, and it filled in a lot of gaps in my knowledge; I could see how it could be a bit over some people’s heads, however. Hopefully, this will encourage readers to look up the terminology he uses and get them to ask questions that may relate back to their own musical frame of reference. His discussion of how maqam and rhythm form together to make a unique kind of heterophony shows how the reader will benefit from having prior knowledge of how Arabic tarab music operates. It would be helpful to the reader to at least listen to some examples of tarab before reading this book. Just as Stephen Feld said in his article, “Linguistic Models in Ethnomusicology”, any kind of verbal discussion of the processes of music can only be a close description (Feld, 1974). Feld said that we can see the underlying thought patterns of music, and use that as a theoretical guide to music, however. Racy describes the process of music-making in tarab as “wandering about” during the improvisations, but that a trained musician can hear the underlying rhythm and never get lost. Again, I believe that one must hear the music in order to understand it, that discussion can only lead us so far, and an accompanying CD would be have been highly beneficial to this ethnography. Racy is a wonderful musician and performer, as I had the pleasure of seeing him play in Chicago at the Genesis at the Crossroads Benefit concert in 2001; it would have been very simple for him to have added his own recordings to this book, and perhaps in subsequent editions they will add this component. Tarab as a procedural altered state of conscious with certain rules and contexts is discussed in his final chapter where he discusses the phenomenon of emotional transformation that takes place during a tarab performance. He defines the rules and conditions for what a tarab performance must have, and in this analysis he does not include detailed musical terminology, and so many readers will get a lot out of this discussion. While verbal discourse about music will always be insufficient, it is imperative to see the underlying structures that link Arabic literature and music together, whether secular or sacred. Racy shows us that there can be no discussion of music without the discussion of the impact of literature on music in the Arab world. 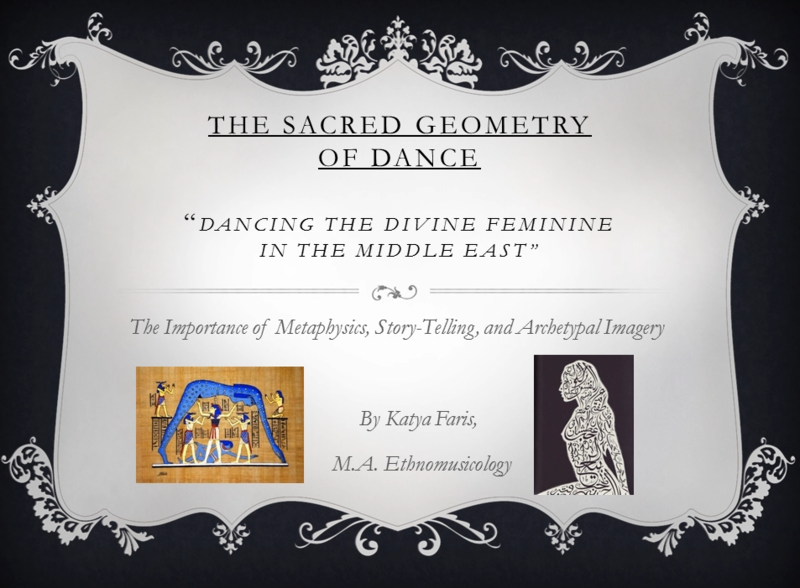 Racy shows us that the tarab culture is an aesthetic system made up of various parts of other areas of Islamic art; the literature he includes does not just belong to the classical Arab canon, but also folk tales, proverbs, and a precise lexicon of vocabulary that make up the tarab culture. Racy points out the common motifs in literature, and particularly poetry, as seen throughout the tarab music culture. These motifs being the same as sacred Islamic Sufi literature, they usually have to do with the Lover/Beloved, and the Union/Separation of said Lover/Beloved, whether between God and an individual human as in a sacred interpretation, or between two humans. There has always been debate in the Arab world over linking sacred literature meanings with secular musiqa, but Racy makes his case clear, that secular and sacred share musical motifs, as they can be read with a double entendre. Racy has given us a well-chiseled jewel that can be seen as a portal into the mystical world of tarab music, and just as a jewel has many facets depending on the light given it, this book gives us multiple insights into the genre. Being that ethnographic methodology is at the heart of Racy’s research, being able to listen to the stories of the musicians themselves is perhaps one of the most priceless aspects of this book. He shows us the timeless and essential ingredients to Arabic tarab music, and they can be seen even in the modern music that is recognized as true Arab music today. 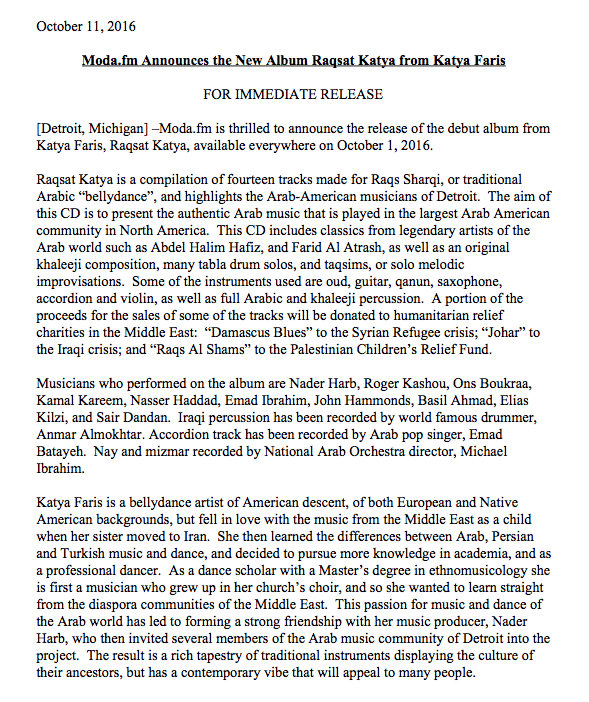 Racy has created a solid scholarly foundation for Arab tarab music theory, and has provided a path for future generations to follow. Stephen Feld. “Linguistic Models in Ethnomusicology”. Ethnomusicology, Vol. 18, No. 2 (May, 1974), pp. 197-217. Victor Turner. Victor Turner and Contemporary Cultural Performance. Graham St John (ed.) New York: Berghahn, 2008.